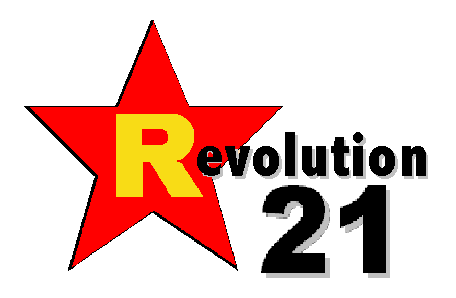 Revolution 21's Blog for the People: What on earth you tryin' to do? ■ Exactly how blind to tragic irony are the Obama Administration and trigger-happy members of Congress? ■ If we do attack the military assets of Syrian President Bashar Assad, which some reports indicate are being dispersed among civilians, what do we hope to accomplish? I mean, really? ■ If Assad doesn't stop using chemical weapons, where do we stop? Do we ever stop the attacks? ■ If the goal is regime change, how does that benefit the United States? What's the best-case scenario post-Assad? Given that groups linked to al-Qaida are the most capable among the Syrian rebels, what are the odds of a best-case outcome here? No magical thinking allowed. ■ Relatedly, would a legally questionable, unprovoked attack on Syria by the United States make matters better or worse? ■ What's the worst-case scenario if the United States attacks Syria? Just how badly could this cascade out of control? ■ Are the odds of disastrous unintended consequences greater than those of the best-case scenario? If the odds are 50-50 or worse, WTF? ■ Will a brand-new Syrian regime get the Assad treatment if it starts doing to the Alawites and Christians what Assad's regime has been doing to rebel areas in Syria? I mean doing on a massive scale what rebel elements already are doing to Alawites and Christians when the opportunity presents itself. ■ Is our involvement in Syria and our recent history in the Middle East more reminiscent of a peace-loving democratic republic or an overextended, corrupt and declining empire? ■ If Assad retaliates by using chemical weapons against the Israelis or NATO ally Turkey, what do we do next? Start World War III? If we didn't, would that "undermine the credibility of other U.S. security commitments"? ■ If we're willing to go to war because Syria allegedly has flouted international law regarding the use of chemical weapons, why would it be all right for the United States to flout international law regarding waging war? Is international vigilantism now a cherished American value? ■ Vietnam veteran John Kerry, 1971: "Thirty years from now, when our brothers go down the street without a leg, without an arm or a face, and small boys ask why, we will be able to say 'Vietnam' and not mean a desert, not a filthy, obscene memory, but mean instead the place where America finally turned, and where soldiers like us helped it in the turning." Secretary of State John Kerry, 2013: "This debate is about the world's red line, it's about humanity's red line. And it's a red line that anyone with a conscience ought to draw. This debate is also about Congress's own red line. You, the United States Congress, agreed to the chemical weapons convention. You, the United States Congress, passed the Syria Accountability Act, which says Syria's chemical weapons - quote, 'threaten the security of the Middle East and the national security interests of the United States.' You, the Congress, have spoken out about grave consequences if Assad in particular used chemical weapons." Vietnam was a red line, too. We had to stop the "dominoes" from falling to the Red Menace in Southeast Asia. Mortal threat to the United States and all that. Why is the Vietnam War a filthy, obscene memory, but Syria absolutely requires a really futile and stupid gesture be done on somebody's part, mainly ours? Explain. ■ If senators John McCain and Lindsey Graham advocate a particular course of action concerning foreign-policy, isn't doing the exact opposite always the wisest course of action? JUST ASKING . . . before it's too late.